Kakao T will help you go to more places, meet more people and have more experiences. • It’s not just a taxi hailing service any longer. 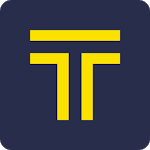 “T” means everything about transportation. • Take care of cab hailing, parking, designated driver booking as well as the navigation service using one app. • Book a designated driver with just one click on the app! ■ No more stress searching for parking! • Search, reserve and pay for a nearby parking space on the app. • Get accurate directions for the quickest route based on real-time traffic information. • Pay for the parking and designated driver services conveniently by registering your payment information. ※ The taxi call charge is currently FREE. 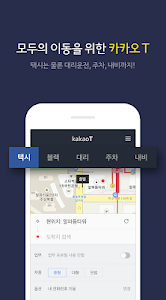 ※ Users may allow the following permissions to use the Kakao T service seamlessly. All permissions are divided into two categories – required and optional. 1) Location (required): Receive suggestions for optimal locations based on my current location and use services requiring location information. 2) Storage: Save Kakao T service information called from my device and access the information continuously. 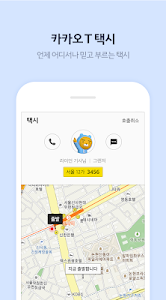 3) Contacts: Receive information from Kakao T services called from my device and use the services smoothly. 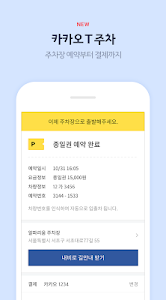 4) Phone: Receive the phone number information to be verified by Kakao T.
1) SMS: Read the verification code sent by Kakao T.
2) Microphone (optional): Set the start point and the destination using the voice recognition feature on Kakao T.
※ Kakao T’s permissions are divided into required permissions and optional permissions from Android 6.0 and up. If your device is running a lower version, you are recommended to check with the manufacturer of your device if the OS can be updated and, if yes, update your OS to 6.0 or higher, since you may not choose which optional permissions you will grant. Please also note that permissions granted by the previous version of the app will not be changed even if the OS is updated. Therefore, you must delete the existing app and re-install a new one to re-set permissions. 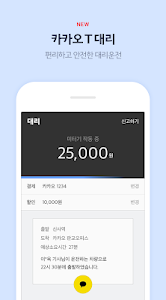 ※ Users may use the Kakao T services without granting optional permissions. The latest Kakao T version is now available. Here's what's new. 2. Harder, better, faster and stronger. We improved our app to help you quickly reserve parking lots you have used recently. Similar to "Kakao T - Taxi, Driver, Parking, Navi"